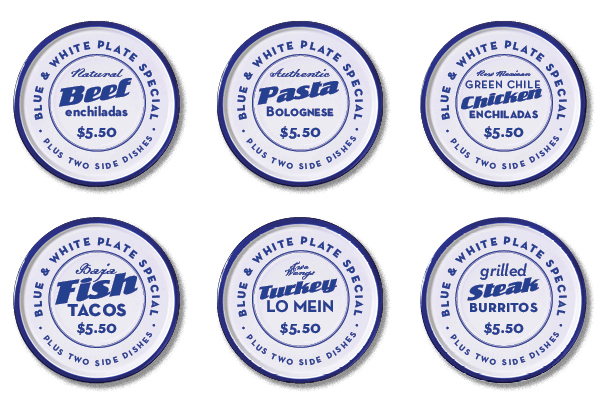 Six in a large series of round plate posters used to promote hot lunch special of the day for high school lunch program. 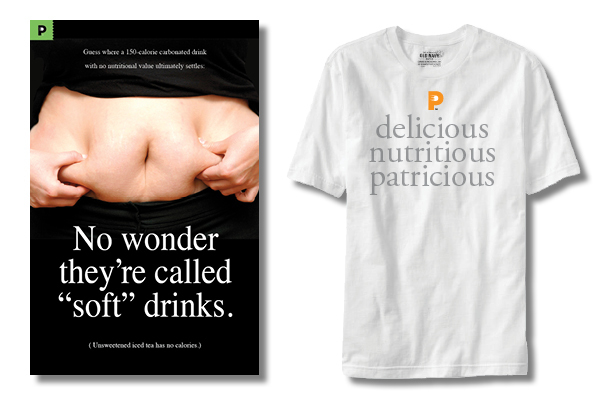 Fat stomach poster targeted to high school girls to lessen their habit of having sugar-laden soft drinks in lieu of lunch. T-Shirt was created for all serving staff to wear on site.